Over the last decades the incidence of gram-negative bacterial infections has risen markedly in most medical centres1,2. 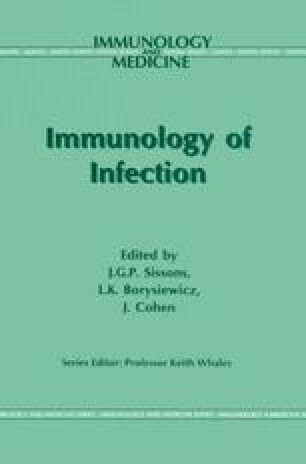 At the Boston City Hospital, the incidence of gram-negative bacteraemia increased from 0.9/1000 admissions in 1935 to 11.2/1000 admissions in 19723. In the USA it was estimated that approximately 71 000 episodes of documented gram-negative septicaemia occurred annually, and an unknown, perhaps even higher, number of potentially lethal gram-negative infections occurred in the presence of sterile blood cultures4. During the last decade, the rise seems to have plateaued. At the present time, half of all cases of sepsis and septic shock are due to endotoxin-containing micro-organisms, the rest occur during gram-positive bacterial infections, and infrequently during fungal and even viral infections. Overall, despite adequate treatment of infection and supportive care in intensive care unit, sepsis kills an estimated 100 000 people a year in the United States5. The mortality associated with gram-negative bacteraemias is still in the range 20–35%3,4,6–9, and 50% or more of those developing gram-negative septic shock (20–30% of patients with gram-negative bacteremia) die10–13. The development of a new effective treatment is thus a major challenge of modern medicine.